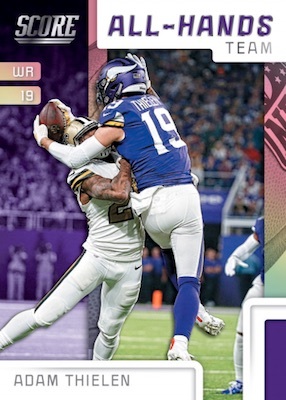 Celebrating three decades since 1989 Score debuted, 2019 Score Football continues the modern approach to the NFL card game, but still honors the hobby past. Sticking with the jumbo pack format, each Hobby boxes contains four autographs, which is the same output as 2018. 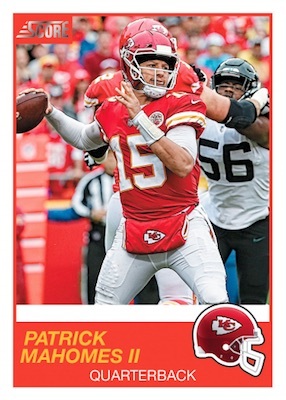 Billed as the biggest set of the season, the 2019 Score Football checklist includes 440 cards with 330 base subjects and 110 rookie cards. 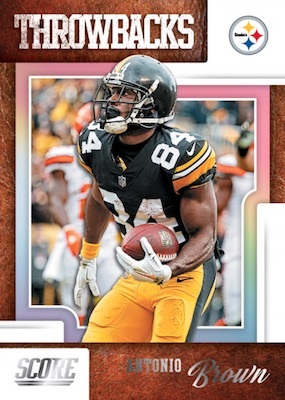 Collectors can look forward to 96 rookie cards per Hobby box. There are also multiple parallels that increase the size of the already-massive set. This includes the all-new 30th Anniversary parallel, appropriately capped at just 30 copies. Overall, parallels combine to average one per pack. 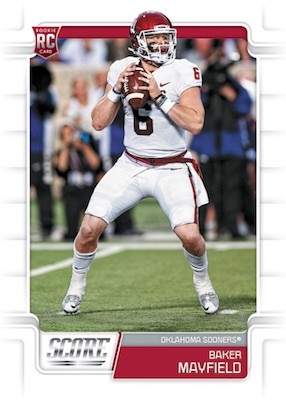 Inserts supply another 36 cards in each jumbo box of 2019 Score Football. All-Hands Team offers great images of the NFL's best pass-catchers and Throwbacks displays retro jerseys on modern NFL stars. 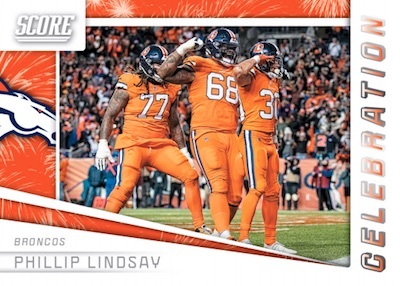 Adding to that, Celebration chronicles the moments just after a scoring play, and the NFL Draft design takes inspiration from a past Score set while highlighting the 2019 rookie class. New insert lines include Epix Game, Epix Moment and Epix Season. These look back at the notable events from 2018. Exclusive to Hobby, foil-stamped Buyback cards revisit 1989 Score in all its glory. The buybacks average one per box and there are also limited signed versions. 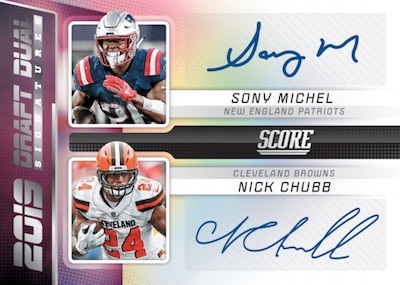 With four autographs per Hobby Jumbo box, 2019 Score Football is not short on signatures either, including early options for 2019 rookies. Inscriptions covers past and present stars with an autograph. 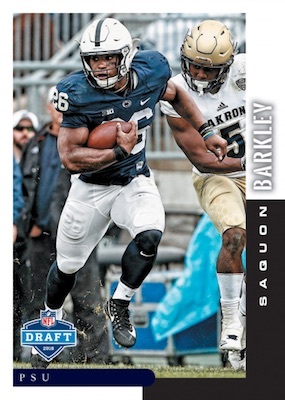 Doubling up, the Draft Dual Signatures set features top talent selected in the same NFL Draft year. These are mock-up images and not final cards. Designs and contents subject to change. 2019 rookies will be featured. Bradley Chubb SCORE Artist's Proof 2018 Rookie Card AUTO MINT #21 35 Rare! 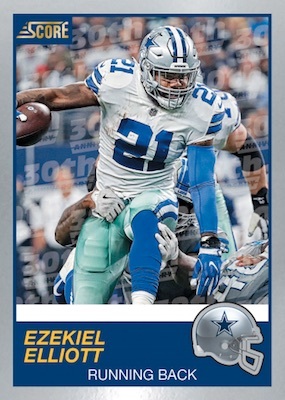 2019 Score Football Hobby Box! Lot Of (2) Unopened Boxes! Release Date 4 24!